DIM (Diindolymethane) - 100 mg, 30 tablets (Source Naturals) - Penn Herb Co. Ltd. In preclinical studies, DIM has been shown to lead to the preferential formation of estrogen metabolites that are correlated with healthy breast, endometrial, and cervical tissues. This unique property sets DIM apart from other plant nutrients. DIM is an indole phytochemical that is a natural metabolite of compounds found in cruciferous vegetables such as broccoli, Brussels sprouts and cabbage. 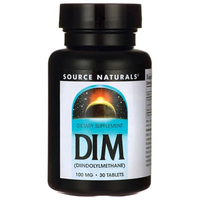 Learn more about DIM and its protective benefits. 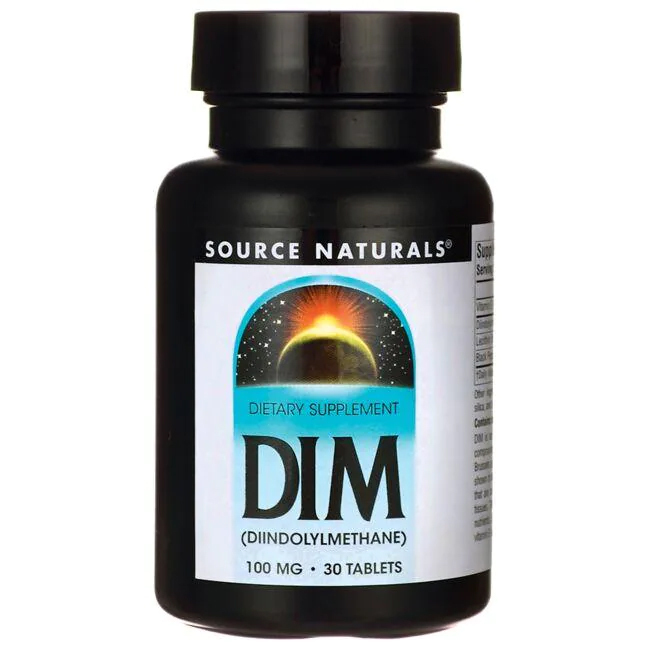 DIM is an indole phytochemical - ingesting indoles supports the healthy metabolism of estrogen. DIM is associated with healthy breast, endometrial, and cervical tissues. 1 tablet 1 to 4 times daily with meals.